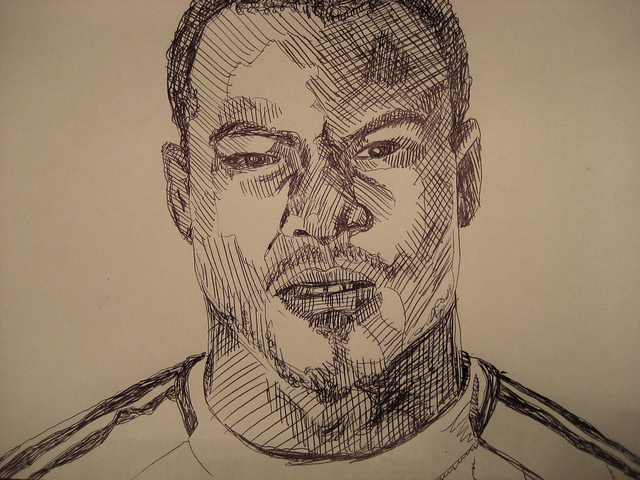 One of the stories of the season so far is that of Lille’s Nigerian goalkeeper – Vincent Enyeama. His performances thus far this season have become the talking point all over the world – not only for Lille who are in 2nd place in Ligue 1, a point behind PSG but also for Nigeria whom he captained to victory in the 2013 Africa Cup of Nations as well as qualification for the World Cup in Brazil. 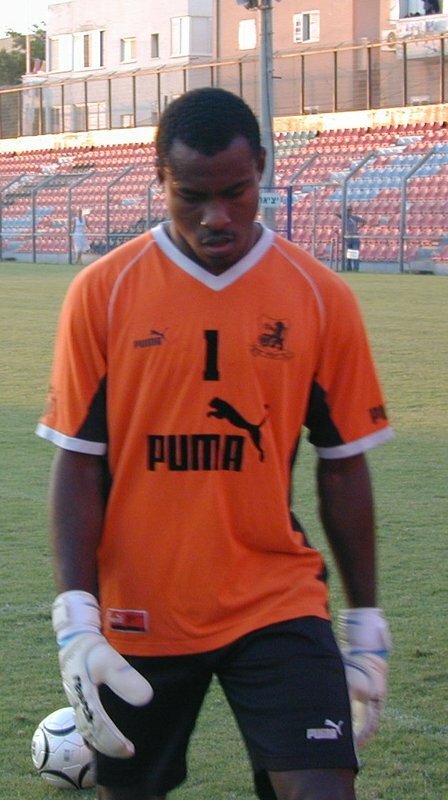 Enyeama began his career in Nigeria before moving to Israel where he played for both Bnei Yehuda and Hapoel Tel Aviv. His performances there caught the eye of Lille in France who signed him in 2011. After a largely unsuccessful first season in France where he only made 16 appearances, he returned to Israel on a 1 year loan deal with Maccabi Tel Aviv. Following the end of his loan deal, where he helped Maccabi Tel Aviv win their first league title in 10 years, he returned to Lille where he was given the Number 1 jersey for this season and he has not disappointed. He has also been voted as player of the month of October in Ligue 1. In 15 matches played in Ligue 1 so far, incredibly he has only conceded 4 goals! Yesterday’s 1-0 win against Valenciennes was Enyeama’s 10th successive clean sheet. What makes this even more remarkable is that Lille played almost 40 minutes of yesterday’s game with only 10 men and despite attack after attack, the Lille goal remained intact. Commentators used to say of Peter Schmeichel that he was worth at least 20 points a season to Manchester United and the same can be said of Enyeama. Despite the fact that their attack has only score 17 goals all season, they are second in Ligue 1, a point behind leaders PSG. So if Enyeama is holding up the team, how exactly is he doing it? Over the course of the season, Lille have faced 47 shots on target on their goal and yet only 4 resulted in goals. Using the advanced statistics at our disposal, we are able to piece together a picture of how the average goalkeeper would deal with specific shots, depending on their placement, speed and other contributing factors. So when placing our ‘average goalkeeper’ in the position of Enyeama, we saw that that keeper would have conceded 11 goals over the course of the season whereas Enyeama only conceded 4!! The four goals that he did concede came from shots of such quality that few other goalkeepers would have saved. To be a truly great goalkeeper, one needs to be good in the air, on the ground and with one’s feet. Keeping this in mind, we looked the first 14 games this season. Enyeama’s positioning when it came to 1-on-1 situations was superior to that of our ‘average goalkeeper’ with only one 1-on-1 scenario being bad leading to a greater threat on goal. Clearly, his positioning and reading of the situation has been first class. Over the course of the first 14 games of the season, opposition teams sent 76 aerial crosses into the Lille box and Enyeama came out of his goal to deal with the ball on 20 different occasions. In fact, there was not one aerial cross that he should have come out of this goal to deal with but did not. It’s not enough to just come out of goal at the right time, but also how one deals with those aerial crosses. Enyeama dealt well with those aerial crosses on 15 occasions with a further three being dealt with averagely. Only twice did he fail to deal with the cross effectively. 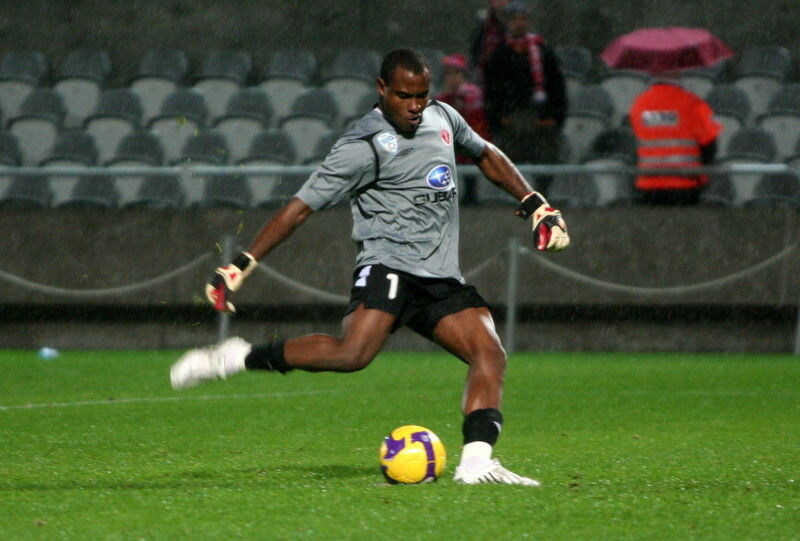 Enyeama also used his feet to good effect when dealing with under pressure situations. Out of the 31 under pressure situations that he found himself in, he managed to relieve the pressure 22 times and in 9 of them, whilst using his feet, his actions actually led to the start of a Lille attack. In further proof to Enyeama’s strong ability with his feet, he was actually the penalty taker for his various clubs in Nigeria and Israel, scoring 19 goals in the process. After an inauspicious start to his Lille career, Enyeama is starting to show his worth to the team. He has not only managed to keep 10 successive clean sheets, but also deal with the pressure that comes with being on such a great run. It will be interesting to see how long he can keep on going without conceding and when he does let a goal in, what sort of goal brings an end to this incredible run.